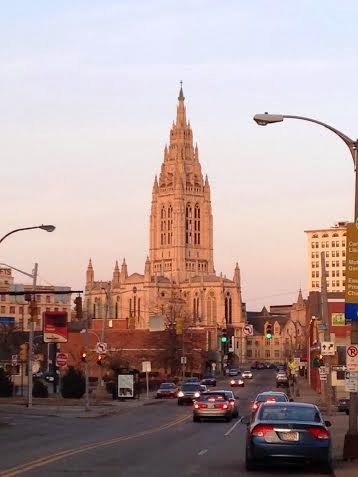 One of the most distinctive things about Pittsburgh is the sheer quantity of grand cathedrals. The sheer amount of spectacular steeples is truly amazing. Here is how the Cathedral interacts with Motor Square Garden, our topic yesterday. We were discussing the height of Motor Square Garden yesterday. For reference, we know that the Cathedral is 300 feet tall. The Garden is the greenish-bluish dome to the right. 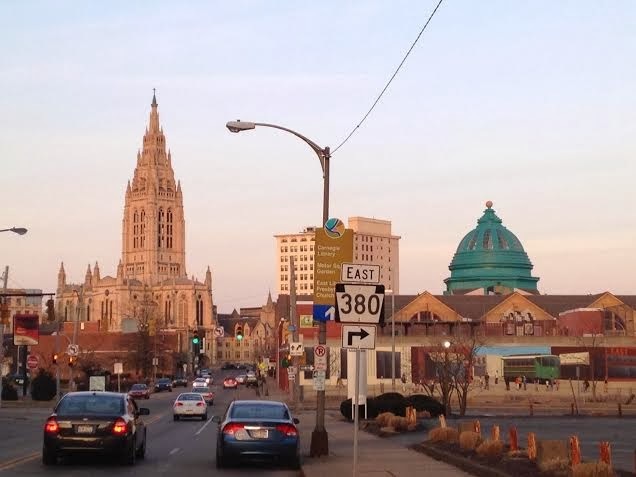 All of this development would not have been possible without the popularity of the streetcar that made this area popular.